Corey Clingan watches his ball off the no. 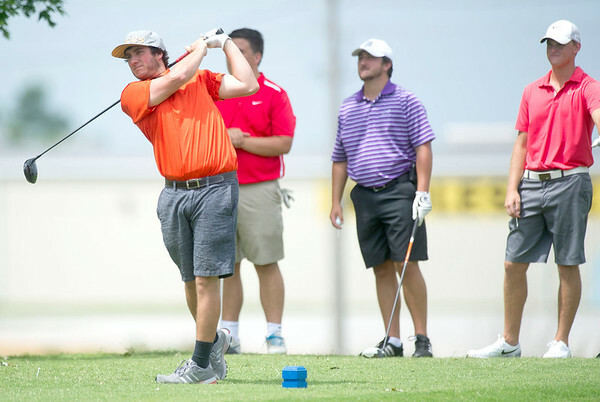 3 tee during the Joplin Amateur on Saturday at Schifferdecker Golf Course. Also pictured, from the left: Nick Yuhas, of Joplin, Alex Kanakis, Kansas City, Mo. and defending champion Griffen Locke.